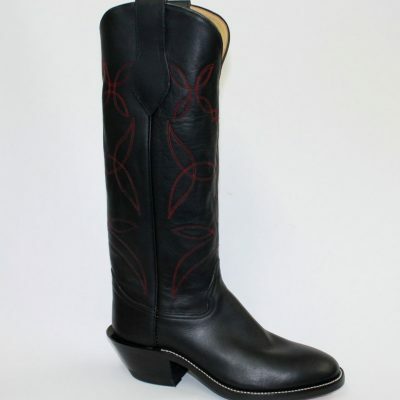 The conventional style offered by this western boot stands up to the quality craftsmanship put into it. A leather upper and full leather stacked heel merges nicely with the neoprene sole for long-lasting comfort, support and versatility. We stock this boot in “B”, “D” and “E” widths. If you don’t see your width or size, please give our customer service a call.